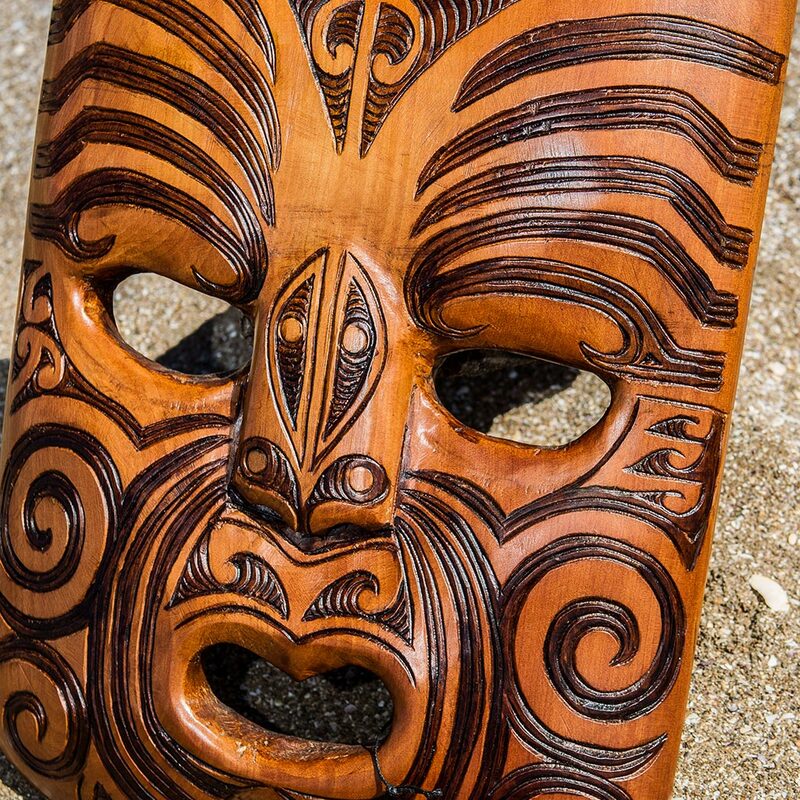 We proudly stock a wide range of carvings for our customers, from pendants to decorative weapons and amazing framed contemporary wall art. 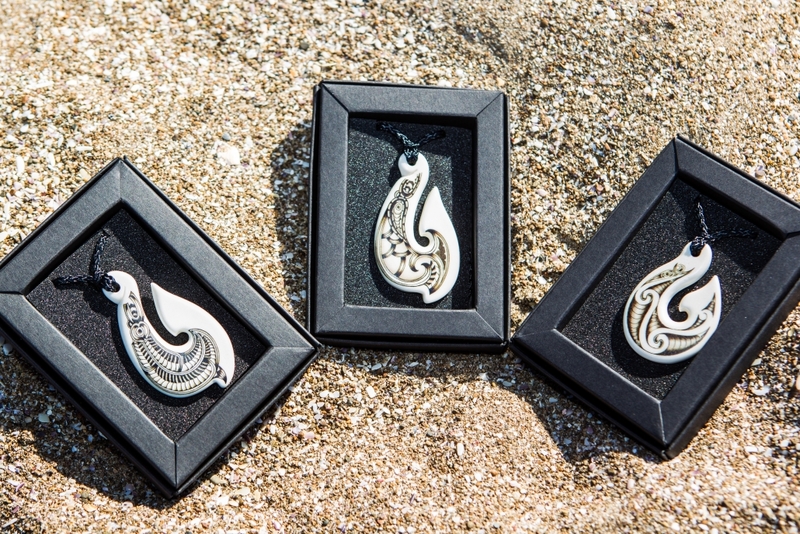 Maori bone and greenstone carving designs express deep spiritual meanings, which make them poignant gifts for your loved ones. One of the most popular designs, the koru is a Maori symbol of family/whanau. 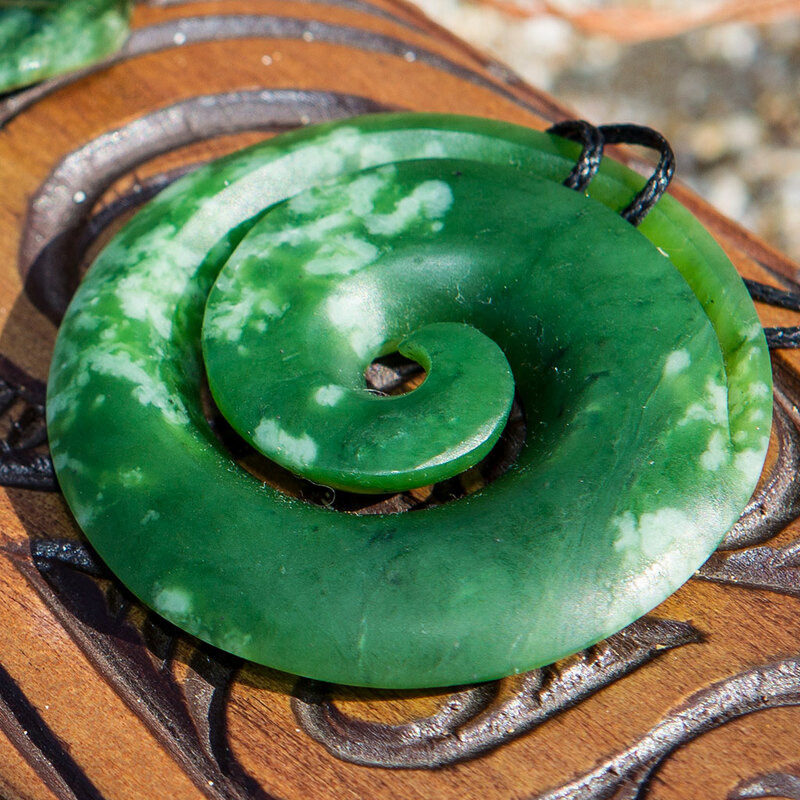 This striking design represents power and is said to be a powerful protection symbol. 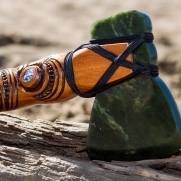 This is a traditional good luck charm and is another popular piece to give as a gift. 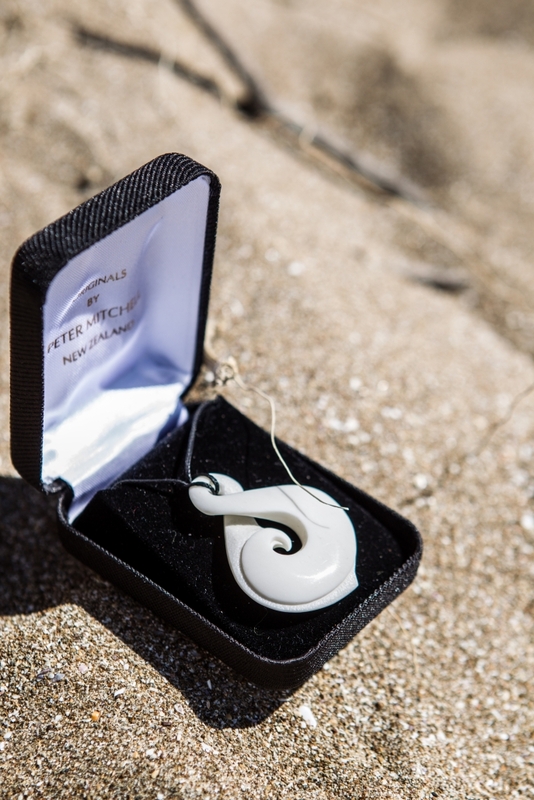 This lovely design symbolises relationships and friendships, with two lives becoming one. 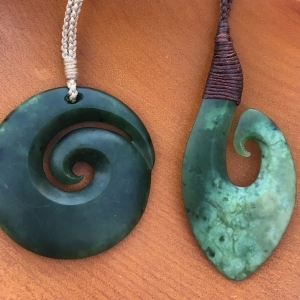 Hauntingly beautiful and instilled with ancient meaning, traditional New Zealand greenstone carvings are a very special gift to give or receive. 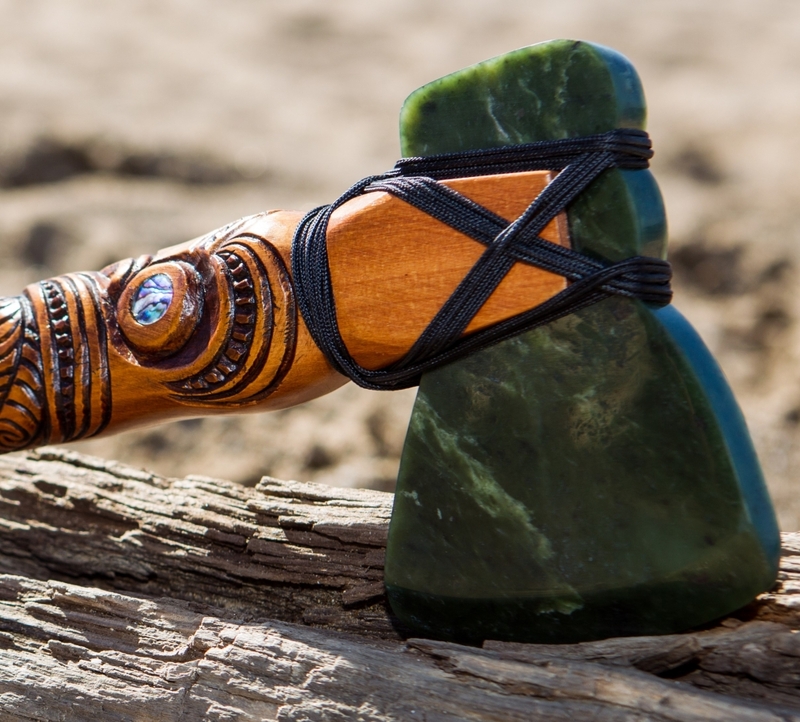 Our “pounamu”, New Zealand nephrite jade, is highly prized and sacred amongst Maori, the indigenous people of New Zealand. 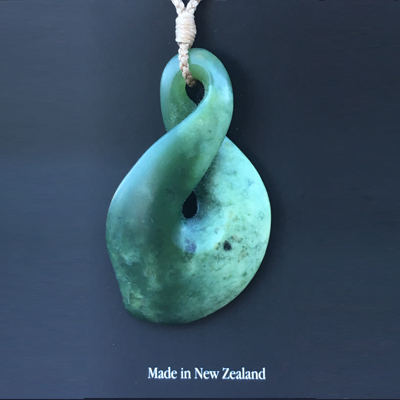 Thanks to its extreme hardness, greenstone lends itself well to being carved and polished, and exquisite detail can be drawn from the stone. 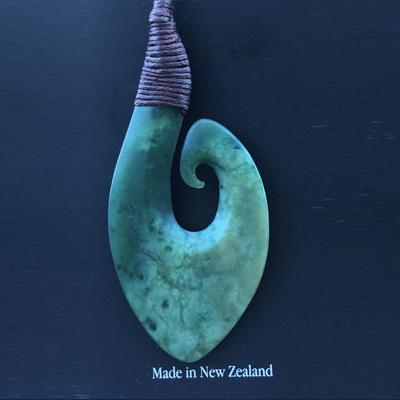 All greenstone carvings found in our stores are guaranteed to be carved from New Zealand jade and crafted by New Zealand carvers. 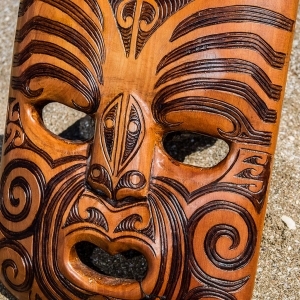 Bone was a more readily available and commonly used material by the Maori carvers, who used bone to craft things like fish hooks, trolling lures, decorative pendants and weapons. 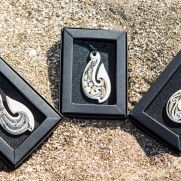 Beautiful examples of carved pendants are handed down within families and treated like the treasures they are. 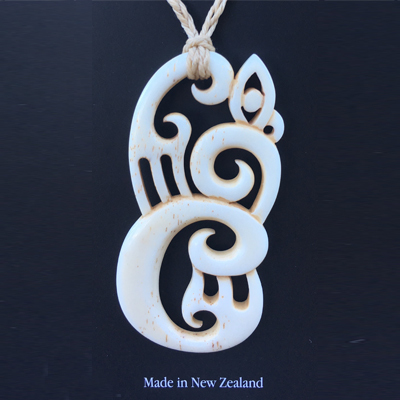 We also stock whalebone carvings from remains found at the sites of 19th century New Zealand whaling stations. NZ has a wonderful array of endemic trees. 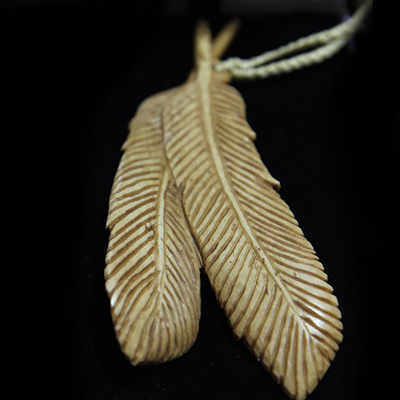 The predominant varieties used for carving are kauri and rimu. Hidden in peat bogs for 50,000 years, entire Kauri forests lie under the wetland areas of Northland. Perfectly preserved, the structure of the wood has changed and condensed into something more resembling a precious stone. 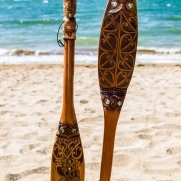 Carefully extracted and dried, this wood is one of the most prized, fetching staggering prices all over the world. Looking at it, polished and shining, you can understand why. 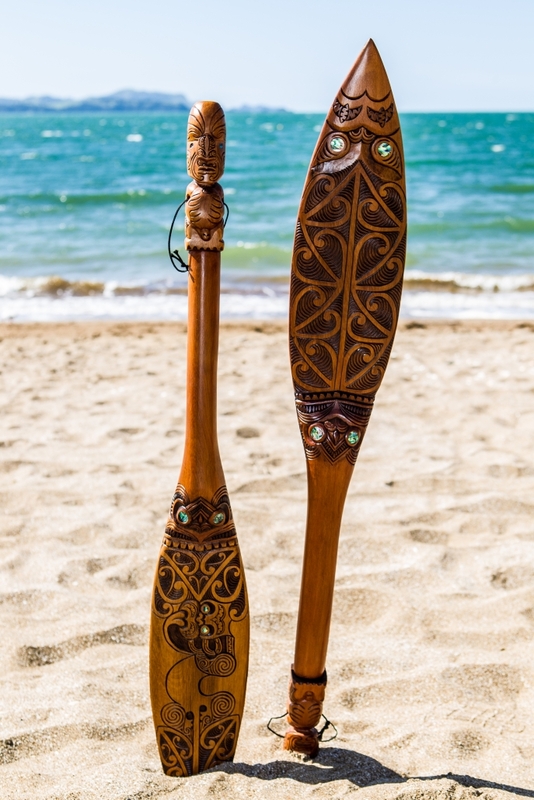 Glittering veins and knotted patterns in the grain are polished to glow, and artists have a knack for displaying the wood’s unique patterns to best advantage. Whether it’s a traditional clock that you’re after, a beautiful display bowl or a magnificent jewellery box, you can find it here, straight from the artist’s workshop. 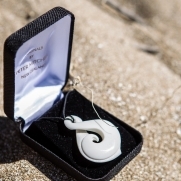 Why not give a little piece of New Zealand to someone special? Contact The Cabbage Tree today to ask about our international shipping service or visit us at our Williams Road store in Paihia.